Andrew Evans of City Title Cycling Team (right) competes at the Johnson Cross Cup cyclocross race held Sunday, Oct. 21 in Johnson. The event was part of a six-race series which began in September and runs through early December in cities across the region. Spectators will soon have a rare and free opportunity to witness cyclocross racing at an elite level. Oz Cross is scheduled for Nov. 10-11 on Millsaps Mountain in Fayetteville. The event is part of USA Cycling’s American Cyclocross Calendar, a series of races held nationwide. 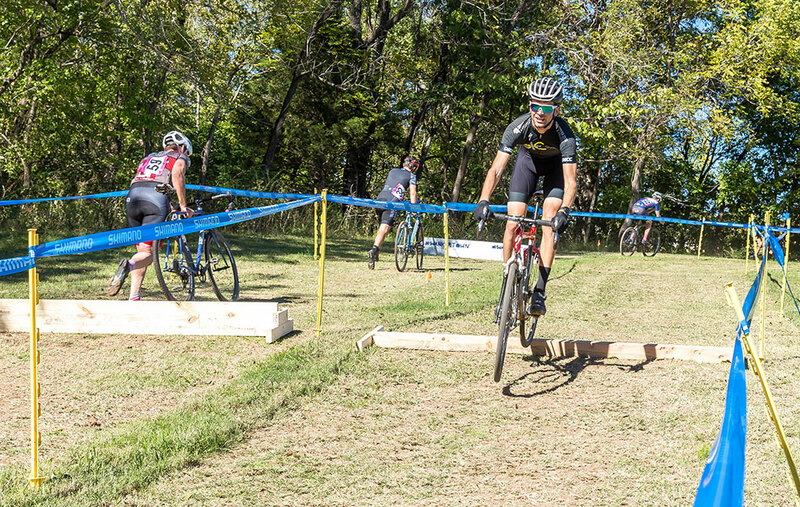 It’s also one of six local races included in the NWA CX Series, which began in September and runs through early December in cities across the region. Millsaps Mountain was recently purchased by the City of Fayetteville with a grant and loan from the Walton Family Foundation as part of a plan to build a 228-acre mountain bike park. 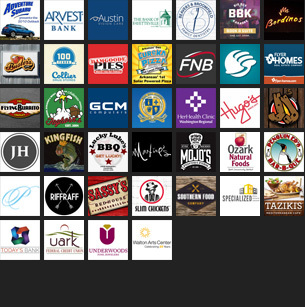 Oz Cross has collaborated with noted race director, Brook Watts, to design the course and manage the weekend of racing. Riders of all abilities can enter to race. A special registration is offered for beginners. Junior races can register for free.